Last night dropped into the upper 30s and I was warm and comfy in my sleeping bag and tent. Tonight is when the big drop in temps is supposed to happen so it may get below freezing. It was nice this morning and got hot as the day went on. 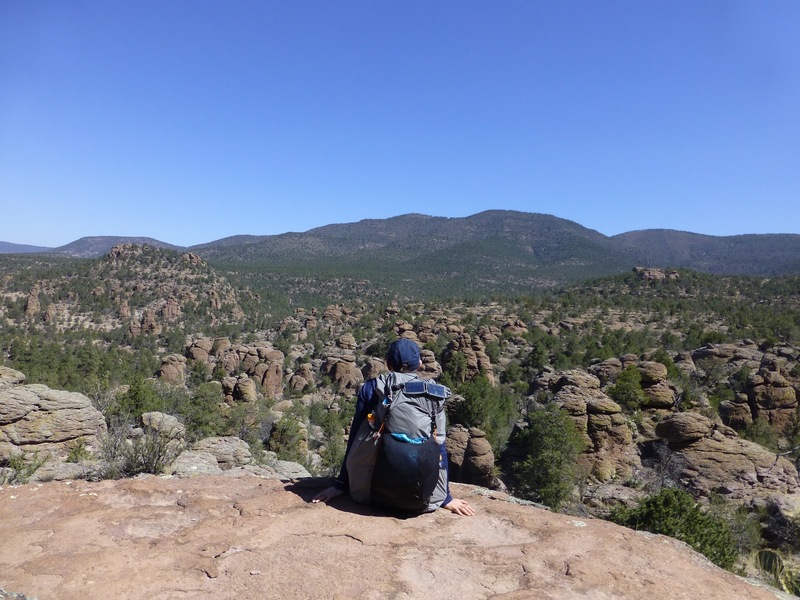 We will be in the Gila for a few days and today was a great introduction! We started hiking at 6:30am and the rolling trail (more of a dirt road) with steep, short, ups and downs started immediately. We climbed higher and higher until we got our first viewpoint of the beautiful Gila. Then we got to our first natural running stream. We were pretty excited about that! Other than a spring (in a metal tank) a couple days ago, all of our water sources have been either caches, tanks, or windmills. 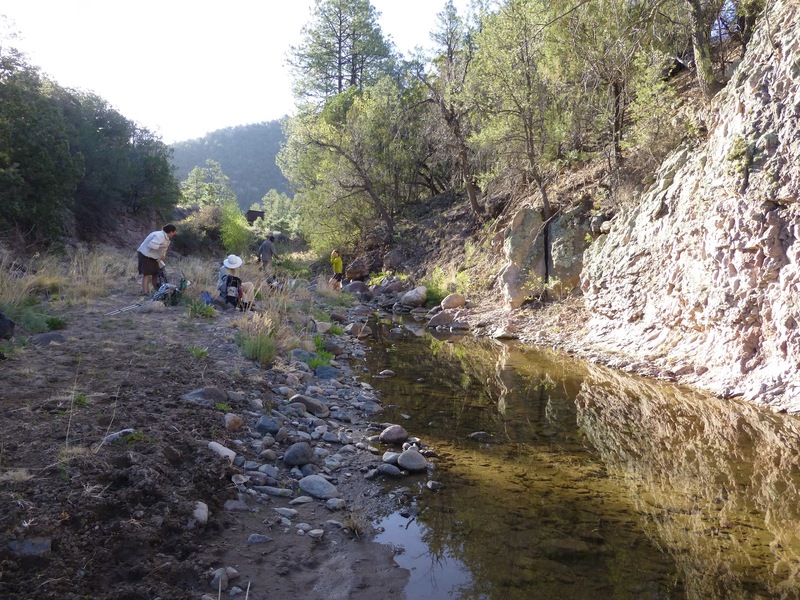 Those of you hiking behind me, this water is about 12mi from Silver City and there are many other sources between it and the Gila River, so you should be fine for water. 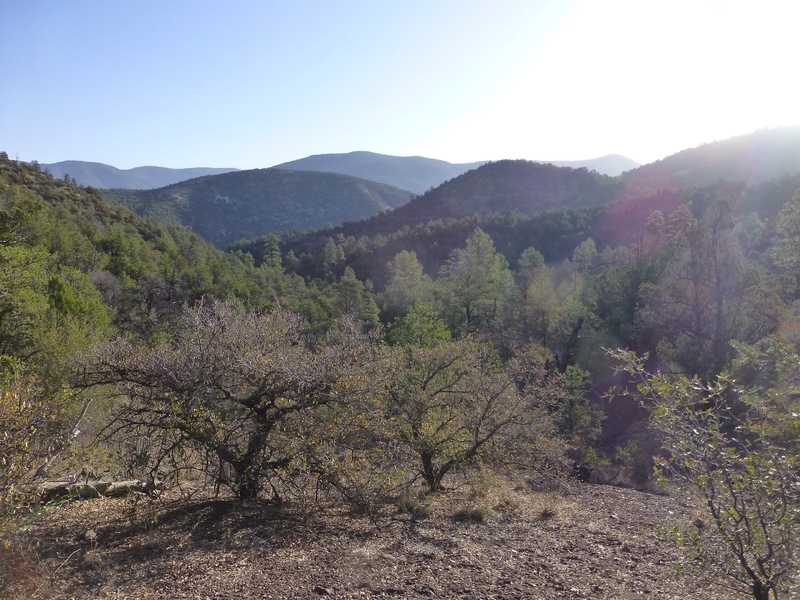 I took some good video of the Gila that shows all the different terrain that I’ll put up in a couple of weeks. There was a lot ofvariation as we rode the “Gila Rollercoaster.” It was a very physical day and little of the trail was level all day. I’m pretty worn out and going to sleep great tonight! This post will be more photo heavy than most because of all the variation. At our morning break we had a sweeping view. Here is a fun photo of Drop-N-Roll on a hoodoo with our break time view. Hoodoos are these unique rock formations that stand up tall. I’m not sure how they are created, but I’m sure many more are coming in the future. We are headed towards a visitor’s center where I’ll probably find out more too. I was able to set the camera up of me looking out over the hoodoos. We then hiked on what I would describe as volcanic rock. There wasn’t a trail and little cairns were there to lead us as we wound all around and up and down. That was fun! Before lunch, we hit a very steep climb that wore me out. The sun was pretty strong and the trail just went straight up for about 1,000ft. When we got higher, we got into a great forested area. We took a lunch break among the trees and I ended up leaving a bit before the rest of the group since they like longer breaks. 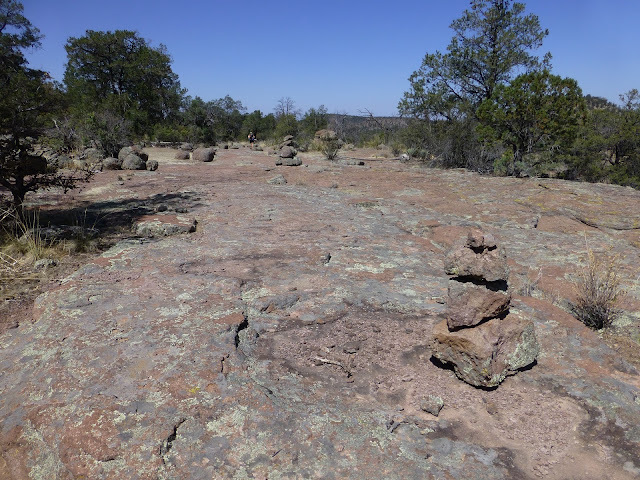 I hiked most of the day on my own after that and really enjoyed having the Gila to myself. The trail leveled out for a bit in the forested area and I was really struck by how serene and peaceful it was. 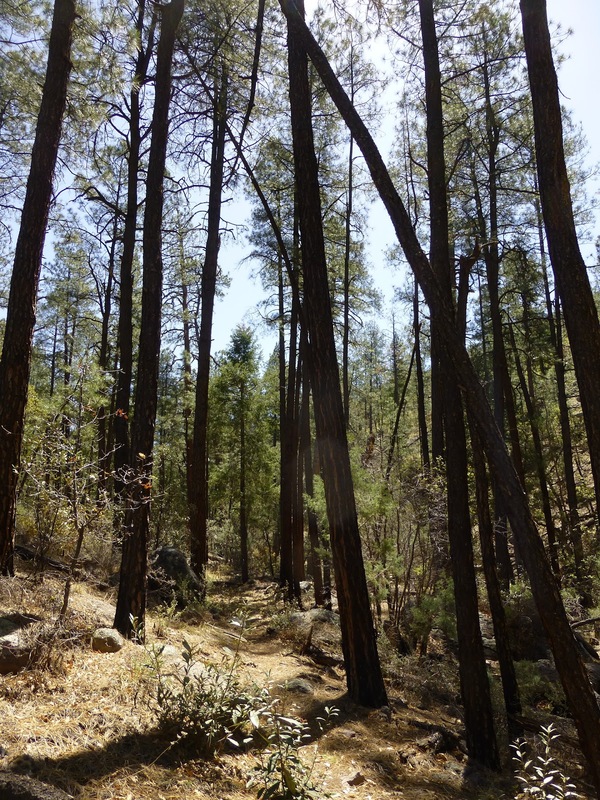 A lot of the Gila has been damaged by fires and it is amazing to see the things that have survived. It was emotional to walk through and see the trees standing tall among others that had fallen and were blackened from fire. You could even smell it as it smelled like a campfire. It felt like I was in a sacred place with the silence and light breeze coming through the trees. Those that were standing had survived amidst so much adversity. There was a section where I could just cruise and take it all in. It felt very safe and like it was a place for healing. 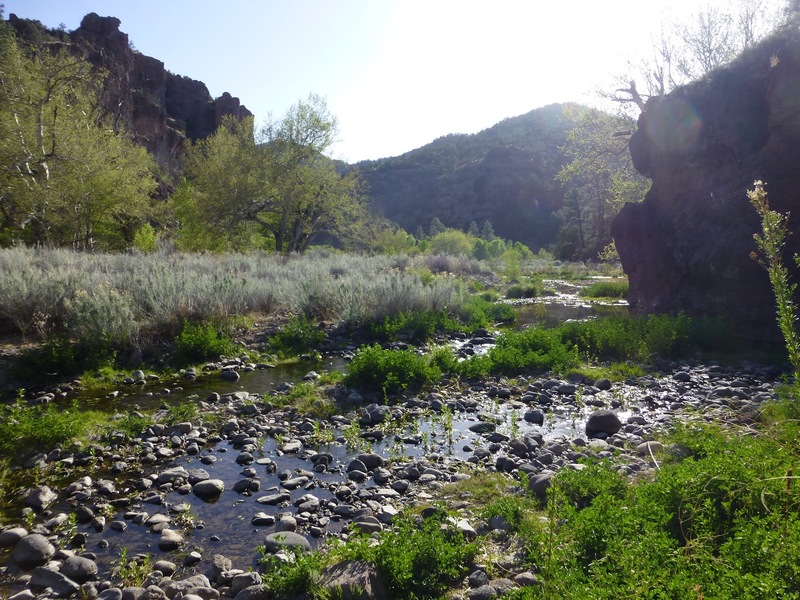 The Gila just has that indescribable feel to it that cannot be expressed through words alone. 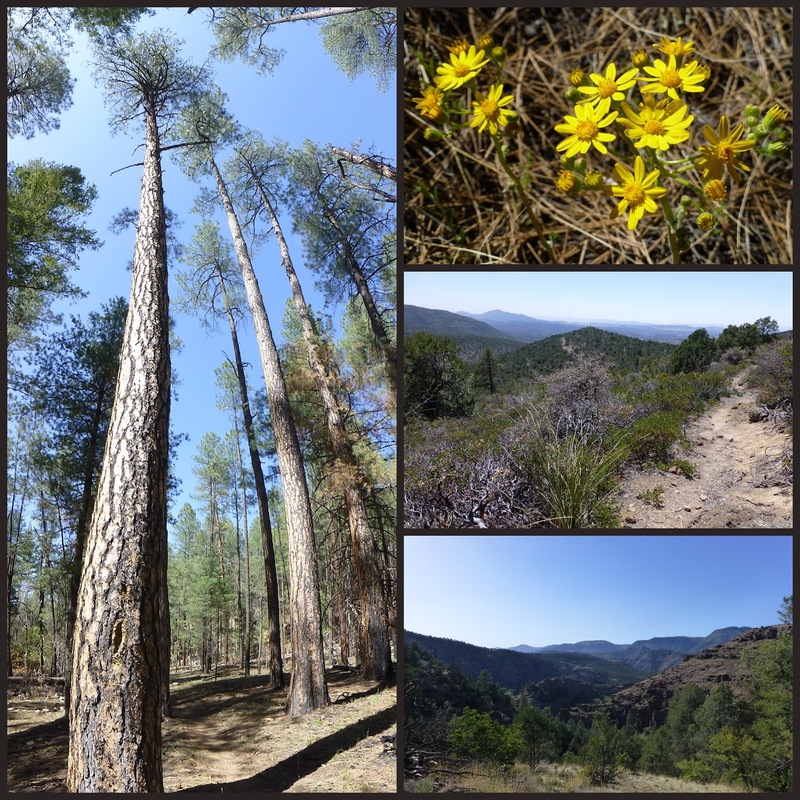 Here is a collage of the forest and how it looked as we then took a long decent down to the actual Gila River. The best is still yet to come over the next few days. We are camped right near the river and will hike along it and cross it multiple times tomorrow. Here is how it looked as the sun was going down. It is very low this year and crossings will not be difficult. 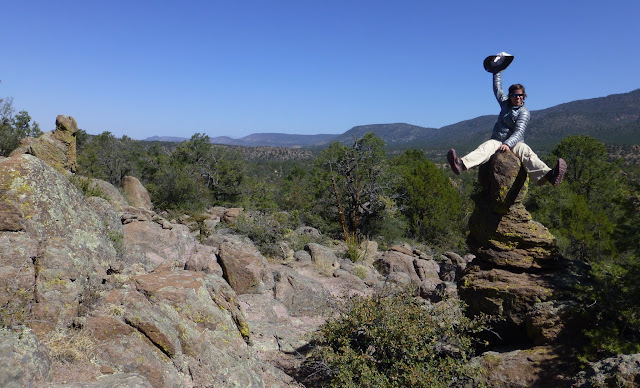 The day after tomorrow, we will be in the section where hikers cross the Gila up to 85 times! We have 16mi to hike tomorrow to a place called Doc Campbell’s. It is a remote little shop that makes great homemade ice cream and sells some resupply goodies. There are campsites for rent with showers. We all have resupply boxes to pickup there and we will have our longest leg after that. It will be 125mi and 6 days until our next stop in Pie Town. The area around Doc’s also has hot springs which will be perfect for soaking in now that colder temperatures are expected. For dinner, I got to eat a beef stroganoff Mountain House from Chris and Charles. Thanks you guys! I’m falling asleep as I attempt to write this, so I will say goodnight. My feet ache, but everything else feels great. The stars are amazing tonight!